DISCLAIMER: This blog post is not intended as medical advice. I am not advocating that you disregard your pediatrician. But don’t be afraid to ask questions, be your own advocate, or get a second opinion if needed. That is the point of this post. When you’re a first-time mom, life is scary. You have a small person who depends completely on you, and you probably have no idea what you’re doing. Heck, I have an entire degree in human development and I still felt like I has no idea what I was doing! It’s in our early, vulnerable days when we moms are especially likely to turn to a doctor when we have questions, fears, or concerns. After all, a doctor has had a lot of schooling! They work with babies and kids all the time! Doctors are experts in health, right? Well yes, but also research has shown…not so much (source). I used to believe whatever my doctor told me was, by definition, true. I know exactly where you’re coming from. I was one of you. Which is why I feel so compelled to say to you: Please don’t “just trust” the doctor. Do you know what my pediatrician did when I asked her a question that she didn’t know the answer to? 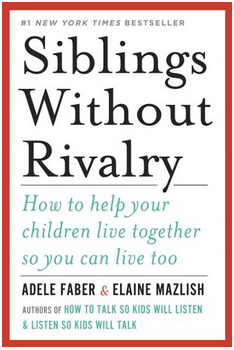 I can tell you what she certainly didn’t do: She didn’t ask me to wait while she hopped in the car, drove to the nearby university medical library, dusted off a beefy tome and looked up the answer. No, instead she opened up Chrome on her laptop and she Googled it. If you’ve never used a research database, it might surprise you to learn that the place where doctors–and physicists and psychologists and lots of other -ists–store their research is online. Google is a search engine, not a source. It’s a matter of trusting science, the peer-review process, and research published by medical journals stored in the databases that Google brought me to. Because–say it with me now–Google is just a search engine. Now of course, the real danger of doing your own research online is that you need to be able to distinguish credible sources from unreliable ones. Furthermore, you may not have the relevant science background to thoroughly digest what you’re reading or see potential flaws in the research. It helps to have taken classes in research methods and statistics. The truth is, sometimes a doctor is better equipped to understand how the research you found relates to your child’s situation. So I’m not saying we don’t need doctors and we’re capable of figuring everything out on our own. We obviously need doctors. I am saying, however, that there is nothing wrong with doing your own research, learning what you can about the condition or issue in question, and using that information to verify what your pediatrician advises has a ring of truth to it. At the very least, it will help you ask your doctor more informed questions, and it will help you make more informed decisions when your doctor provides you with treatment options. Another important thing to consider is that pediatricians aren’t always thoroughly trained in every area. I know what you’re thinking: But they’ve had so much schooling! They study and practice for years and years! This is true. But it doesn’t mean the training covered everything in depth. It doesn’t make them experts in everything. And it doesn’t mean every single one is staying up-to-date with the latest research and recommendations. In fact, given the rate of research being published, staying truly up to date would apparently be almost impossible (source). For some reason, many moms really don’t want to believe this. So in case you’re curious, I’ve cited my sources below so you don’t have to take my word for it. 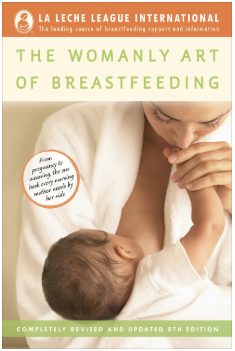 A perfect example–that pretty much any breastfeeding mom can probably attest to–is lactation training (source). Very few pediatricians have solid training in lactation (source). The American Academy of Pediatrics acknowledges this (<–note that this action plan was published as recently as 2018). 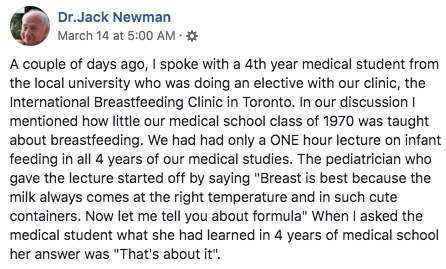 Many pediatricians went to schools where the curriculum was established at a time when most babies were bottle fed formula (source, source-full-text). And when it comes down to it, the lactating breast of an adult female simply falls outside of the scope of pediatrics (source). So it does not surprise me to see pediatricians telling moms their milk is not fatty enough and suggesting they eat fatty foods to fix this (the research indicates fat in breastmilk is affected by milk removal, not fat in mom’s diet), or telling her to supplement formula without also explaining that doing so will make her supply issue (if she even has one) worse without the proper safeguards in place, or medicating reflux to no avail when the problem is very likely caused by a latch issue or even oversupply. Another example is infant nutrition. Pediatricians simply are not required to have the same kind of training and experience in this area that a registered dietitian would get (source, source). 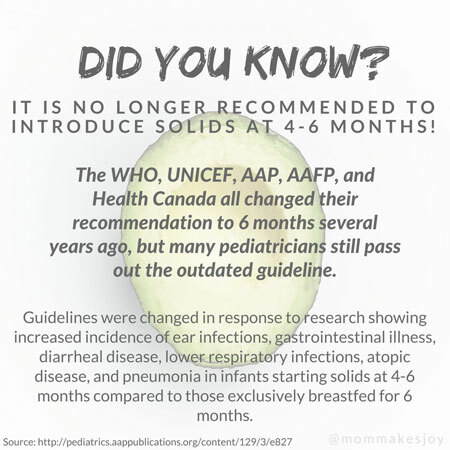 Many pediatricians are still recommending introducing solids at 4 months, sometimes even sooner, despite just about every major health organization changing the recommendation to 6 months years ago and despite research indicating the risks associated (source). 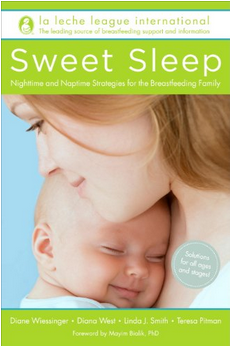 These two issues taken together–insufficient lactation and infant nutrition training–often result in early cessation of breastfeeding, early introduction of solids, and unnecessarily medicating problems that could be fixed without a pharmacy (source, further reading: source, source). An IBCLC is typically going to be the best person to see for breastfeeding questions and support. If you are concerned that baby has a serious latch issue or tongue tie, a preferred provider–a doctor with a proven track record working with ankyloglossia–is the person you should see. This is because researchers are still investigating how ties affect breastfeeding and the best practices for identification and revision. Most run-of-the-mill pediatricians, pediatric dentists, and ENTs are not necessarily trained or up-to-date on this information. If you have questions about your child’s nutrition, speaking with a registered dietitian experienced in working with infants and toddlers might be a good idea. 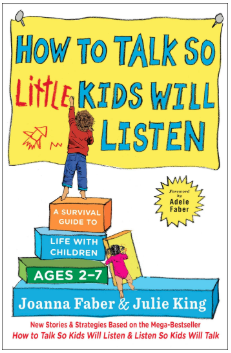 And then there is also the issue of pediatricians giving advice in areas in which they simply have no expertise. I once spoke with a mom whose pediatrician said her two-year-old was just fine sitting in the backseat of her car without any car seat! And if you read my post on infant sleep, you know that multiple studies have shown that pediatricians offering what we take to be evidence-based sleep advice are more often simply giving their own personal and cultural beliefs about sleep (source, source, source). Research advances. A lot can change in 2 or 5 or 30 years of practicing medicine. We assume doctors stay up-to-date on the latest research and guidelines. Many of them do! But certainly not all. In fact, research has shown there is about a 17 year time lag when it comes to evidence use in medicine practice (source, source). And a number of studies have shown that doctors tend to be quick to adopt practices based on shaky evidence but hesitate to change even in the face of solid proof that a treatment is ineffective or even potentially harmful (source). This isn’t a problem unique to doctors: Resistance to change is simply a part of human nature, and it can cause problems. Moms need to be aware of this. I’m not saying modern, Western medicine is bad. I’m not saying all doctors are giving outdated, bad advice. I’m not saying that doctors don’t receive excellent training. I’m not saying that there aren’t amazing pediatricians, or that doctors don’t care about their patients. And I’m certainly not saying you should ignore the advice of your doctor. I can’t stress that last part enough. What I am saying is that doctors are people, and people aren’t perfect. It’s not their fault. It’s easy to forget that the man or woman in a white coat treating your child is just a person. Doctors are authority figures, and if Stanley Milgram’s famous study demonstrated anything, it’s that we tend to want to trust and comply with authority figures. But being a knowledgeable authority figure in a field doesn’t make you infallible. I learned this first hand. When I was 17 and an urgent care doctor discovered my blood glucose levels were elevated, my mom took me to a physician who specialized in diabetes with over 30 years experience. He took a look at my blood sugar logs and diagnosed me with type 2 diabetes. He gave me a laundry list of vitamins to take and prescriptions for Metformin (a glucose lowering oral medication) and Lipitor, because my cholesterol was high. He also instructed my mother to make sure I sign up to get diabetes education. That last part was the only good advice he gave us. Because you see, when my mom went to make an appointment for me to get diabetes education classes, the scheduling lady pointed it was odd that a 105-pound seventeen-year-old would have type 2 diabetes. Instead, my mom took this as a sign she needed to do some homework. 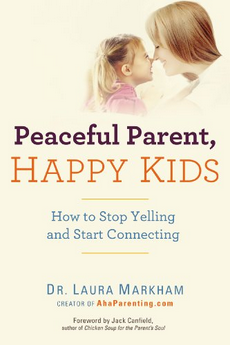 She did something many other moms (and some doctors) would mock her for: She consulted “Dr. Google.” And she learned that there was a reasonable chance I had a different type of diabetes. She was uncomfortable with the fact that the first doctor was for some reason unwilling to order a simple blood draw that would shed light on which type of diabetes I had. So she got a second opinion from another doctor. The new endocrinologist we saw took one look at me and said, “There is absolutely no way this young lady has type 2 diabetes.” He explained how he knew this, and why the Metformin prescribed by my previous endocrinologist wasn’t doing anything to control my blood sugar. He also explained that the Lipitor was completely unnecessary, since the proper use of insulin would bring my cholesterol down naturally. And he ordered the blood test the first doctor refused; it demonstrated I had antibodies indicative of type 1 diabetes. Had my mom just “trusted the doctor” instead of doing her homework and realizing a second opinion would be worth it, my blood sugar would have remained high, and there is a very good chance I may have suffered serious complications or wound up standing on death’s door in a state of diabetic ketoacidosis–an immediately life-threatening condition that is frequently misdiagnosed as the flu. My point is, doctors make mistakes. They disagree even with each other. Thankfully, these mistakes are relatively rare, but they do happen. You are NOT stupid or ignorant for paying attention to other moms raising red flags about your pediatrician’s advice. You are NOT stupid or ignorant for learning what you can from credible sources and seeking second opinions from credible providers. You are simply being careful. And when your children are depending on you, why wouldn’t you be? I absolutely agree with everything here. In my opinion you should always trust your gut as a mom and it is your right to get a second opinion. I have had direct experience with this. In one case my friend almost lost her life because the first doctor thought she had gall stones and the second doctor determined she needed emergency surgery. Doctors are wonderful people and, for the most part, they do their jobs well. But anytime, for any profession, if you feel something is not right then absolutely get a second opinion. This article is wonderful! Not only is every point you made absolutely true, but you provided good, reliable sources to prove it. Thank you for that. You also made a great point about “Dr. Google.” Google is only the search engine, and the burden of finding reliable information is entirely on us. I get that you’re not telling us to doubt our doctors. You’re suggesting that we shouldn’t blindly follow what we don’t understand. When it boils down to it, physicians are human. Well-trained, but still human. They don’t know everything, they can make mistakes, and sometimes they have outdated methods. To be educated on a topic is to provide a safety net for yourself. 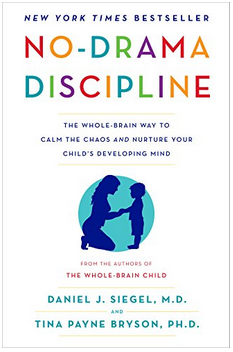 As both a mom and someone who has worked directly with doctors and other medical professionals, I totally agree with the balanced points and research in here. Doctors don’t always even agree with other doctors in their field or locale. And someone can be an amazing physician but give bad advice or a wrong diagnosis- sometimes due to studies or generally accepted medical info that may be misleading or outright wrong. The truth is not everything that’s recommended now is going to be recommended in 10 years from now. Medical recommendations change all of the time, and as a parent, it is important to do your own research, because your family will experience the consequences (good or bad) of medical decisions, regardless of what your doctor says now.